In reply to David Chiengkou, robert said, Hi David, thank you so much for your comment! 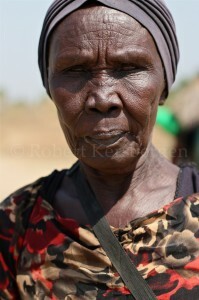 Your mother is a very friendly and beautiful lady and I think her portrait is one of the best I shot! How long is it that you haven’t seen her? Its so tragic that many South Sudanese were displaced from their family, friends and loved ones. I hope you can see that Gongich really enjoyed reuniting with his friends, family and foremost mother even though it wasn’t always easy for him, especially in Juba. For me I’m very happy and honored that I got a chance to experience the hospitality and the kindness of the Dinka people, because staying in Juba I lost a bit of hope in the rebuilding of the country. I hope Gongich will be able to adapt again into South Sudan and that he will be able to reach his goals. And I’m glad to have helped you with the picture of your mother!